Even today vast amounts of photographic materials lies neglected in archive depots. Often a fair amount of time passes before a photograph is recognized as valuable and subsequently declared as a document of historical importance. 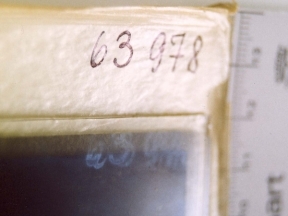 When handling any photographic material, it is necessary to adhere to special conservation precautions in order to protect them from severe damage. Our product range for long-term archiving is as versatile as the types and formats of data carriers are diverse – ranging from standard products to custom-made designs. KLUG photographic archival products are found in large, well-known photo archives all over the world and are also very suitable for small photo studios and agencies. 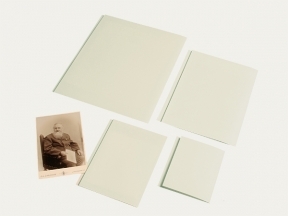 KLUG-CONSERVATION offers enclosures, files, folders and archival boxes made from materials that have passed the Photographic Activity Test (PAT). Ensure your photo prints, negatives, microfiches and glass plates get the best protection!